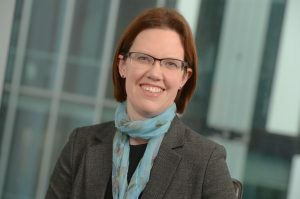 Claire Jolly has been appointed head of technology, media and telecoms (TMT) at Deloitte in the North West, taking over from Jodi Birkett who has adopted a national TMT role. Jolly, a director in Deloitte’s forensic team, has been at the company for over 15 years having originally worked for the firm’s audit practice. She has a wealth of experience in the tech space working with clients ranging from multinationals to start-ups and entrepreneurs. Birkett, a partner in Deloitte’s transaction services team, is moving to a pan-regional role with responsibility for Deloitte’s UK TMT teams in all markets outside of London. Jolly will lead Deloitte’s TMT initiatives in the North West, including the Fast 50 rankings, TMT Predictions and TMT Hotspots. In addition to advising tech businesses on a range of issues – from audit to M&A and cyber security – Deloitte has also invested in more than 30 disruptive start-ups through its £25m Innovation Investments scheme, including a £2.5m investment into the launch of Propel by Deloitte, a cloud-based accounting and analytics service.